My 9-year-old son's first science unit this year is electricity. While it's usually a struggle to get him to tell me about his school day, the reports about what he's learning in science roll off his tongue easily. No nagging required. In summary, he's loving it. To take his school lessons further at home, I snagged an amazing book by Laurie Carlson. Thomas Edison for Kids: His Life and Ideas has everything from a timeline to detailed biographical info and my favorite - 21 activities. Making an electromagnet is one of them. Here's what we used and how we did it. 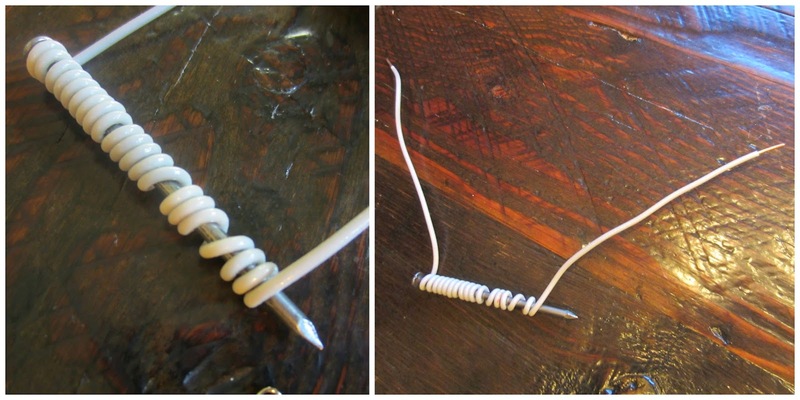 Wrap the wire around the nail making a coil, leaving four to six inches of wire extending from each end. Do your best to wrap it as tightly as you can. Trim about 1/2 inch of the plastic covering from each end of the wire. If you have a wire stripping tool, use it (we did) or score with a pair of scissors and using your fingernails pull the plastic coating from the wire. 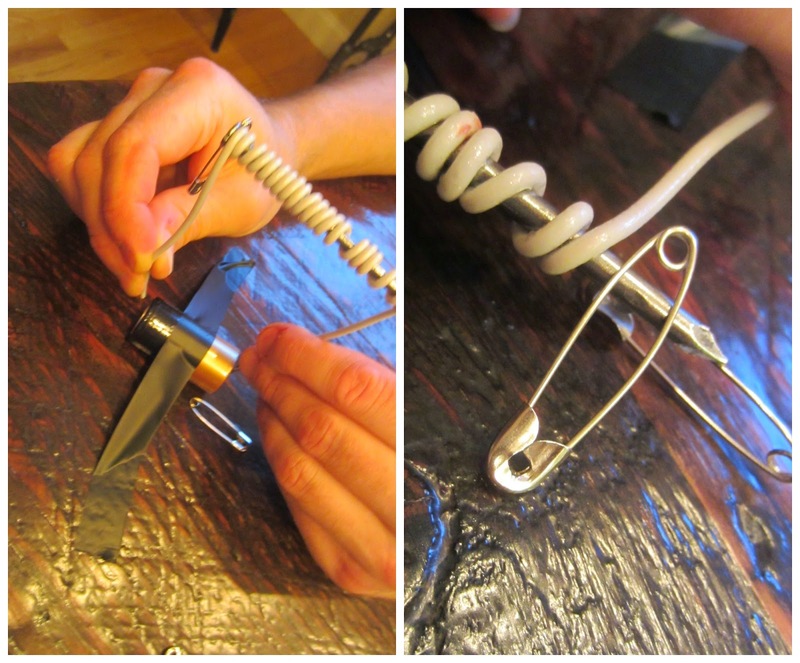 Now, if you've got tape handy, cut a long strip and use it to secure the battery to the table. 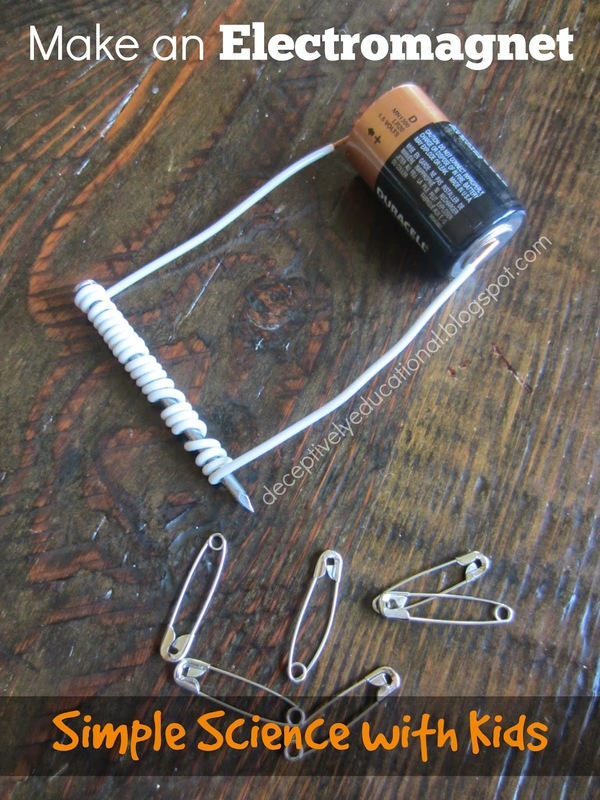 Hold the nail wrapped wire and pinch the ends of the wire so they touch both metal ends of the battery. DON'T TOUCH THE EXPOSED WIRE; as electric current passes through it, these ends will become hot. Electromagnets played a significant role in Thomas Edison's inventions. He used them to separate premium iron from low-grade unusable iron ore, that was collected from the New Jersey mines he owned. His discovery of the electromagnetic wave lead to the invention of the radio in the 1890s. Today, electromagnets are still at work in coin-operated vending machines! Want another great book to read? We liked National Geographic Kids Level 2 reader Thomas Edison by Barbara Kramer. Thank you for sharing. We've been doing a lot of science experiments and I'll add this to our to do list. I'm going to look up that book right now! This is a great post! I would love it if you would link up at the Geeky Educational Link Up! This is neat!! 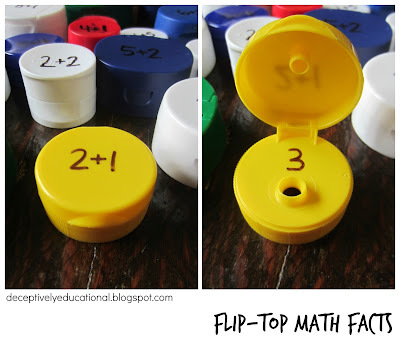 Thanks for sharing at the Geeky Educational Link Up! WOW. That is awesome. I'm going to test one before I show the nieces and nephews. .. The instructions state that you need "small metal objects (paper clips, thumbtacks, etc.)" Note that the small objects must contain IRON. Otherwise, they won't be attracted to the magnet. For example, a piece of aluminium won't work. It must contain IRON. Steel paper clips and pins contain iron. That's why they work.